BELLA Rehabilitation Centre is a community charitable organization seeking to improve the living conditions of orphaned, vulnerable children (OVC), youths and women i slums of Nairobi (especially in areas Kibera and Dagoretti). BELLA organizes many projects: initiatives, counselling, AIDS enlightenment and provides education for children from slums. The school is located on land leased by Kenya Railway Company for a short term – the structures are temporary until the school moves to own piece of land. There are eight classes and a „Baby Care” for children from the age of one year in school. The school has had candidates for Kenya Certificate of Primary Education (K.C.P.E. ) for three years, and now planning to have our own secondary school. Provide quality education that is affordable to all, especially OVC and that way help them to get similar living conditions as those of luckier children. To host the orphans and most vulnerable. Bright Future Learning Centre is situated in the sprawling slums of Kiambiu behind Buru Buru Phase One State in the village of Kosovo. It started its operation in 2008 October by giving free counselling services to the slum women, then after sometimes the members realized that there was need to start up a merry go round for the unemployed women, and feeding programme for the children whom the group members used to meet on the round side within the slum. The members identified a one roomed house and contributed some money which they bought one sufuria and some plastic cups plus a stove in order for the programme to start off. The feeding programme has responded positively and it offers porridge to the children at 11 am every day. 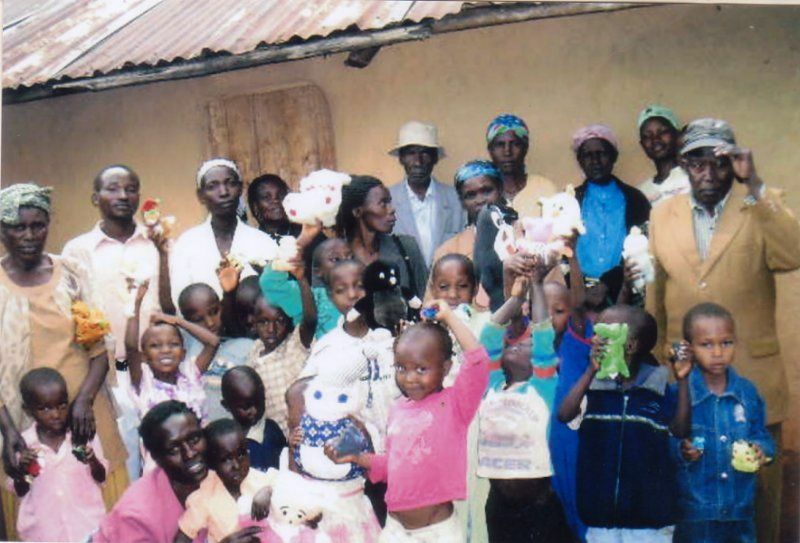 Since then the centre has 30 children, and in January 2009, the group started nursery/baby class and pre-unit. To protect the slum children through working closely with the relevant authorities and the community. To initiate income-generative activities aimed at improving the social and economic status of the members. Provide quality education to the orphans children in the slum. Assist the needy/orphans and widows with HIV/AIDS both infected and affected. Offer counselling services to the orphans/guardians and the community. Provide feeding programme to the malnourished children. 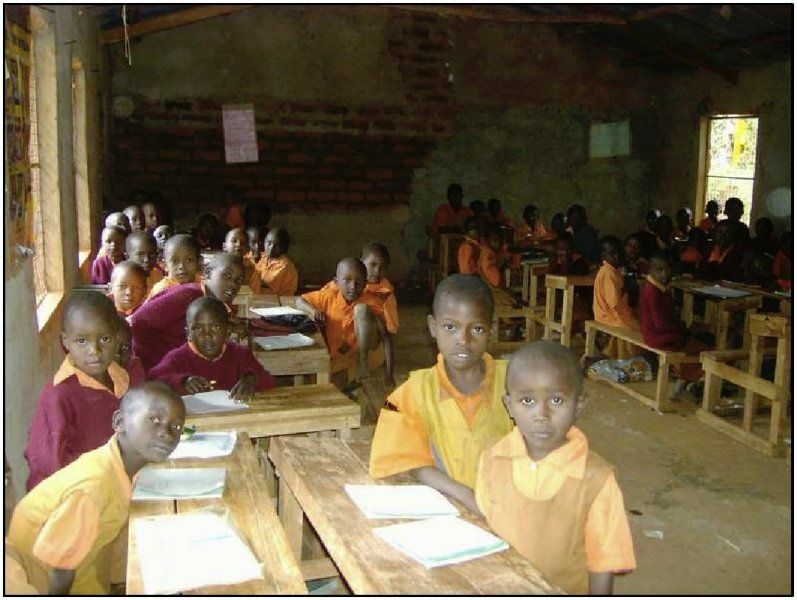 Bukaywa Humanist Primary School was started because of the orphans and the vulnerable children (OVC) with the goal of to giving them the quality education. The school serves a rural community whose majority live below the poverty line. The local community and The Bukaywa women group are actively participating on the school’s functioning. The Bukaywa women group helped with the funds for paying the teachers, cooking for teachers and pupils. The community and the teachers also helped in giving ideas and knowledge to the pupils. To provide food and the quality education to OVC. To create of a fully equipped school, to increase the number of qualified teachers, to start a secondary school. Bwagamoyo Primary School was established to cater for the education support of orphans and vulnerable children, in Mwawesa Province. School provides quality education and knowledge to orphans and vulnerable children, that is necessary for their subsequent development. Some of the kids are supported through the Adoption project. To allow access to education to children and orphans from a poor province. Primary School Pouchov,Hradec Králové, CR. 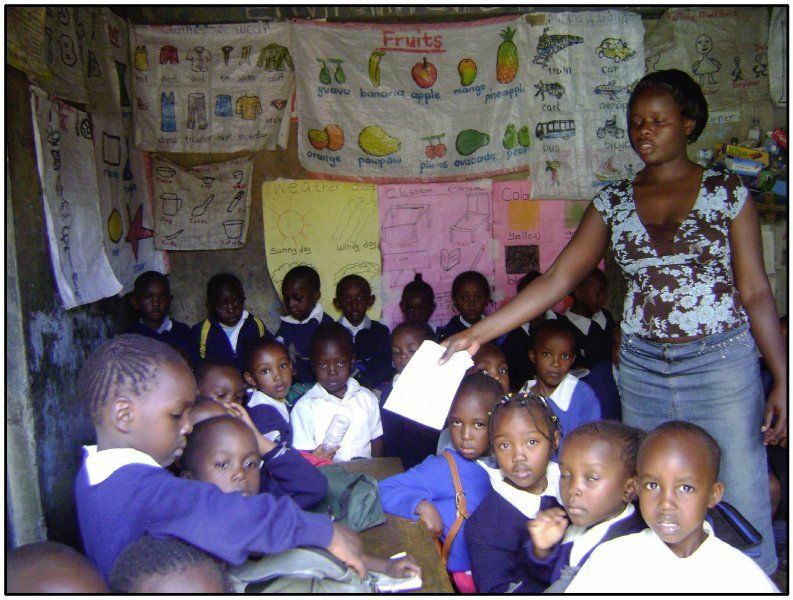 They co-operate with the School: Bwagamoyo Primary School, Mombasa, Kenya. 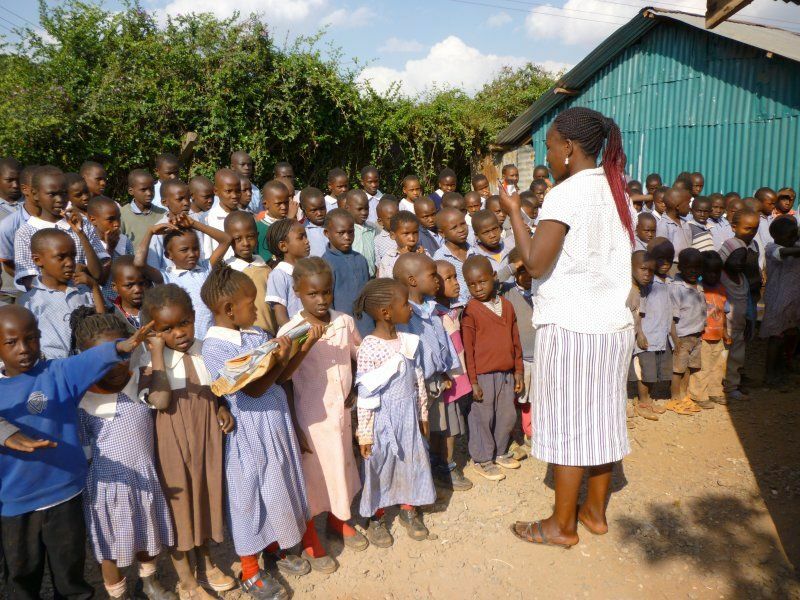 Form of co-operation: Students with the female teacher visited the school in Kenya. They organize collections and make teaching tools. We carry out project days - How is life in Africa in their school. Schoolchildren organize presentations about Africa in other schools and for general public. 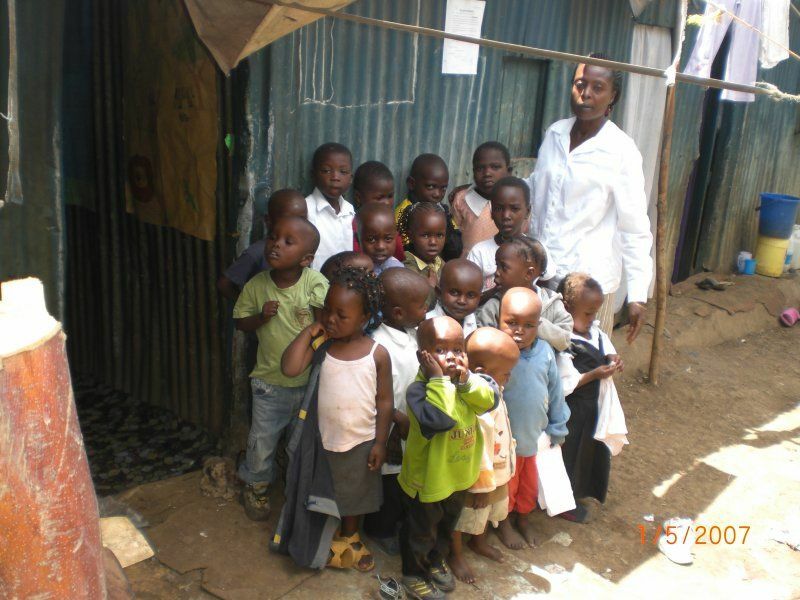 Caretakers Orphans Education Centre is situated in the sprawling slums of Korogocho. It began its operation in 2001 by providing feeding program to orphans and other vulnerable children. This initiative has been very well received by the Korogocho community and the scale of activities widened. The Centre currently provides not only feeding program and health care and counselling but also an informal education for children who have no other possibility to go to school. Volunteers provide them at least the most basic education. 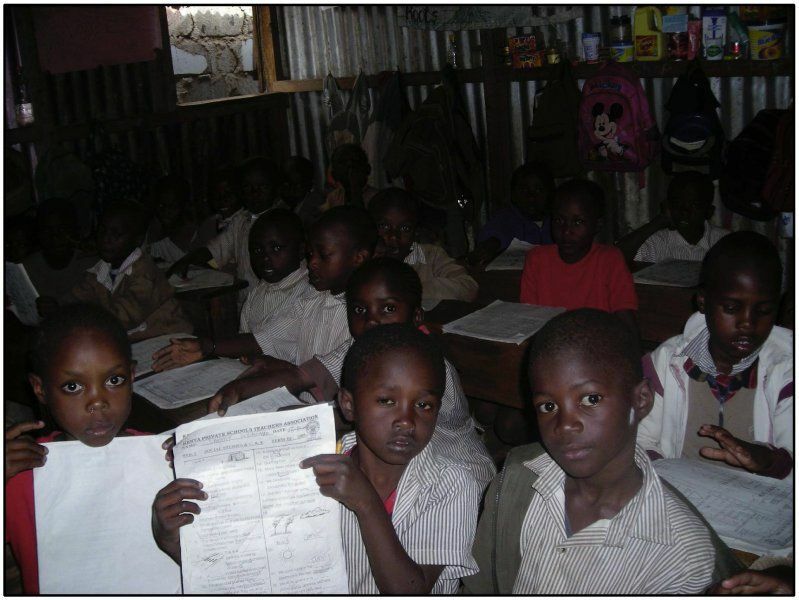 To provide informal education for OVC in Korogocho slum. To organize basic care for these children, including feeding and medical services. To offer counselling services to orphans and their guardians. To provide alternative means of generating income. 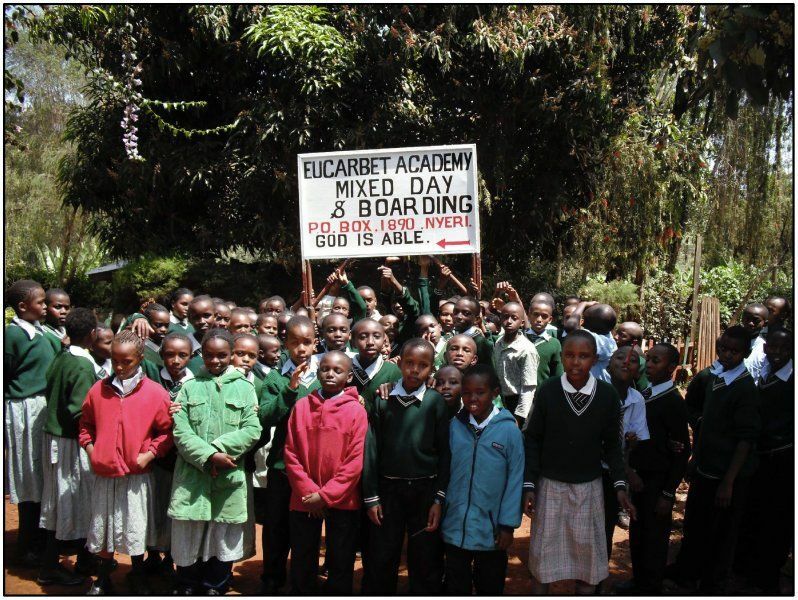 Eucarbet Academy was established in 1998 to satisfy the then growing demand for educating orphans and destitute children. It started as a small nursery school with a handful of pupils and one teacher. The school expanded and in 2004 the pupils in class eight did the Kenya Certificate of primary Education Exam (K.C.P.E.). Due to the high quality educational standard, the K.C.P.E. Candidates did equally well and some were admitted to high quality secondary schools in the country. The school continued to expand and it can now pride itself in the high number of student enrolment as a result of offering a variety of services to orphans/ destitute children ranging from computer studies, HIV / Aids counselling and other creative activities. That was enabled also thanks to great help of Czech volunteers and supporters from Adoption project. We managed to buy a minibus to transport pupils to and from school, too. To provide the quality education to local children. To open secondary school. Other support of the community, especially of disadvantaged children. The school started in the year 2002 with the community members through the help of one teacher who is now the Head of the School. The aim was to help the poor, vulnerable and infected street children to acquire basic education. The school expanded and moved from original provisional background to leased spaces offering enough classrooms, room for games and toilets. To bring together, promote and assist the poor families to educate their children with lesser expenses. To provide those kids who are poorest and most deprived the satisfaction of their basic needs. To advocate for the right of the children and promote gender sensitization in all areas. To distribute information about AIDS and other issues. To come with the computer training centre to enable the children live up to date in our computerized world today. To open branches all over Kenya. The nursery school and the elementary school were founded in frame of broader project „Island of Hope“ on Rusinga Island. The nursery school started in 2006 and now it has 90 pupils. The Montessori teaching method is used and pupils achieve apparent successes thanks to it. The elementary school started in January 2009. At the moment, there are 5 grades; the school will expand to eight grades. The humane principles of acting and non-violent attitude are exercised in the school. To provide the access to education to poor and deprived children. To provide suitable environment helping children in studying. To support the all-round development of children who would become useful to the community and will participate on its development and on development of the whole country. To raise children towards non-violent attitude to life. School was established in 1971, in year 2002 started co-operation with NGO Centrum Narovinu. Some of the kids are supported through the Adoption project. Primary School Rozmarýnová, Brno, CR. 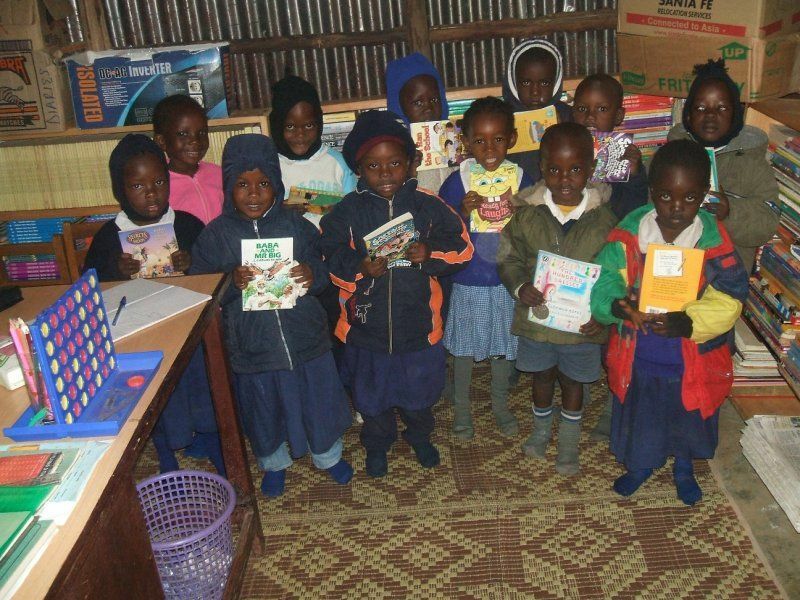 They co-operate with the School: Kauti Primary School, Kauti, Kenya. Form of co-operation: a class teacher visited the school in Kenya in person and afterwards he organized several presentations for the students. They make tools, organize collections and want to build a library in Kauti. We hold regular meetings with co-ordinators from Kenya in their school. Liberty Community School is situated in western Nairobi and serves mainly the children from local slums Riruta and Kawangware. Its aim is to provide education to local children even though just informal (because of the lack of space and equipment). The school was started in 2002 by local community which is poor but development conscious. The school is run thanks to financial contributes volunteers and sharing the similar ideals. The members of the community partake in providing the teachers‘ salaries, feeding and needed learning materials. The support of the Adoption project is also very important. Unlike other basic schools headed by headmasters, the Liberty School is headed by a Director. The Director is the executive head of the school, and works together with other leaders to run the programmes of the school. The school carries out physical education, sports, writing competitions, athletics etc. To provide the quality education and all-round development to local children. To expand and improve the background. Lucie-Ken E.C.D and Nursery school was started in March 2007. The school started with the population of 35 children who were all Nursery children with only one teacher. 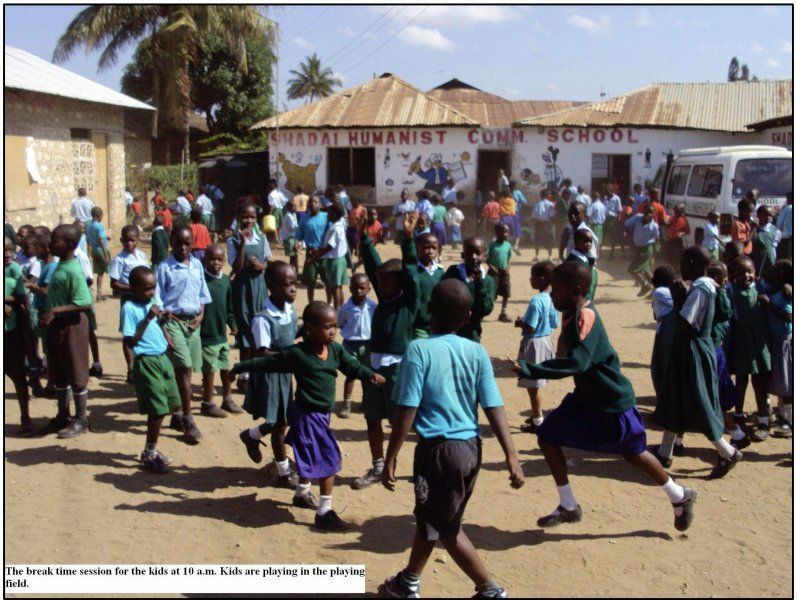 It was started as one of the humanist nursery schools in Rusinga Island. 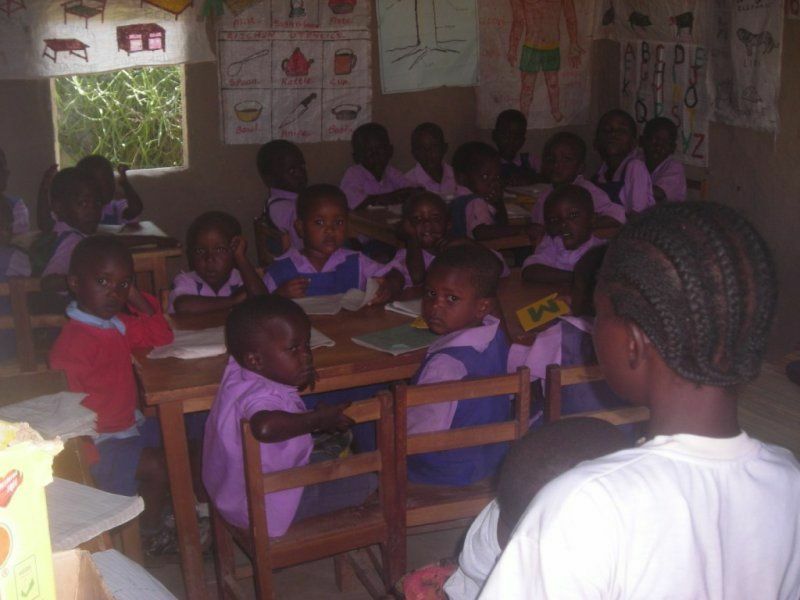 Now the number of pupils has grown to double, there are four classes (baby class, pre-unit a nursery and class one of elementary school) attended by the total of 34 boys and 29 girls. The facilities are relatively good; drinking water is at the disposal as well. To provide access to education to children in need. To create the most comfortable learning environment possible where kids can develop. The school was founded in 2000 and registered three years later. Its aim is to uplift the living conditions of community living in Dandora (Embakasi division in Nairobi province of Kenya). To provide education to local children. In future to buy land, build a new basic building and start developing broader program of benefit to whole community. To build well latrines and water points like boreholes for drinking and washing hands after toilet ensure high hygiene standards. 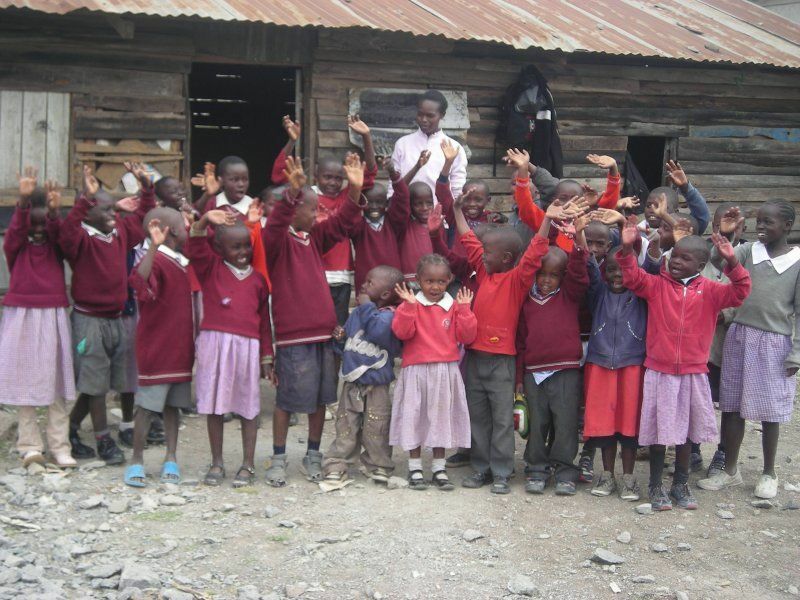 Ngando Preparatory School offers basic education to poor children from the local community. It was founded by the Lenana community in 1999 and registered with the Ministry of Education in December 2006. The school now caters for 365 children from the nursery and pre-unit to the eighth grade of elementary school. Some of the children are supported in frame of the Adoption project, but the school still has financial problems, especially because of a high lease of the used spaces. The project idea is to buy a two-acre piece of land, and build a new school with fully equipped classrooms and playground. The funds were not found yet, the school managed only to purchase half an acre which was fenced and there were toilets and water built on it. To expand and equip the school, so that it would suffice to the current number of students, which is still rising. 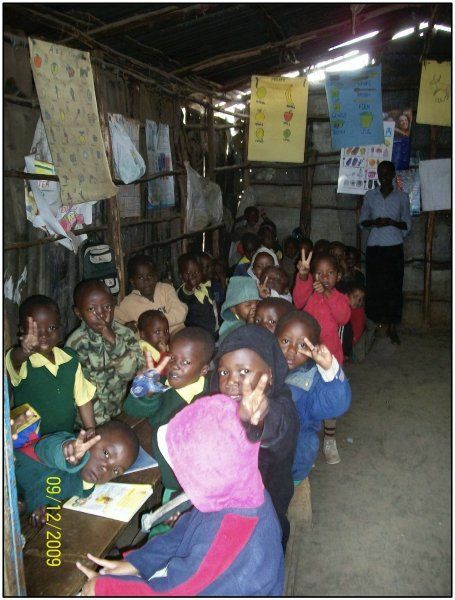 To enable the children of Ngando/Lenana slums acquire basic education at affordable cost. 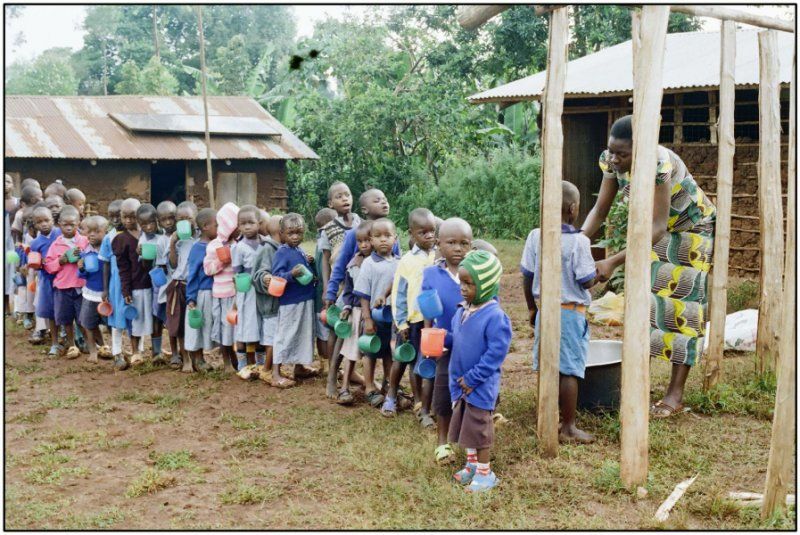 To create the conditions (room) for developing educational programs not only for these destitute and orphaned children, but also for members of the Lenana community – for example lectures, enlightenment (AIDS etc. ), computer work. 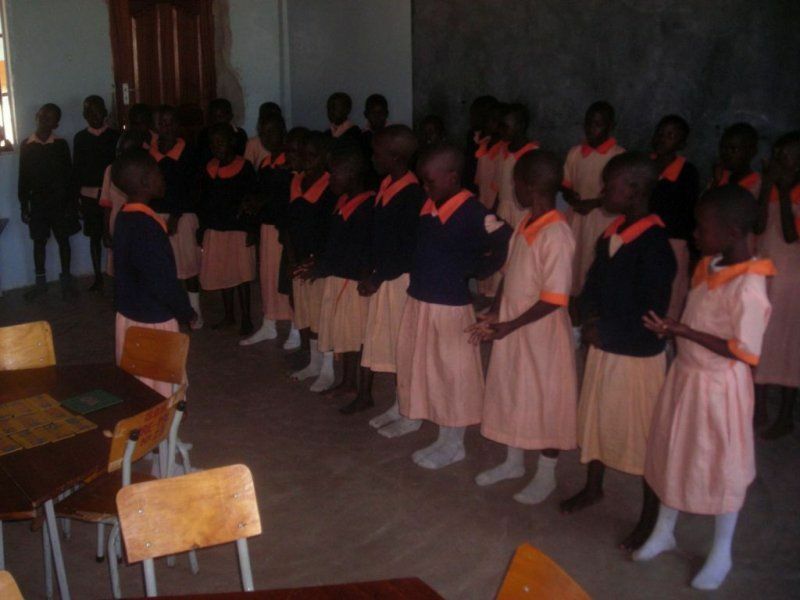 Nyajowi Academy was established to cater for the education support of orphans and vulnerable children, in Nyanza Province. It strives to provide the best environment for education and all-round development of the children. Apart from school there is also a rescue centre for abused and neglected children that Provides counselling and psychosocial support. General focus of these and other programs run by Nyajowi Centre is to improve the living conditions of children and other members of the local community. Nyajowi Academy provides quality education and knowledge to orphans and vulnerable children, that is necessary for their subsequent development. Some of the kids are supported through the Adoption project. The centre is catering for 257 children with a capacity to accommodate 600 pupils. The school is established on a 2 1/2 acre plot of land. There is also a playground. To provide the satisfaction of all the local children’s needs: food, shelter (especially in case of orphans), health care etc. To support children in their development and to re-integrate them back to the community. To provide counselling and psychosocial support to children. Expand the institution to a boarding primary and secondary school. 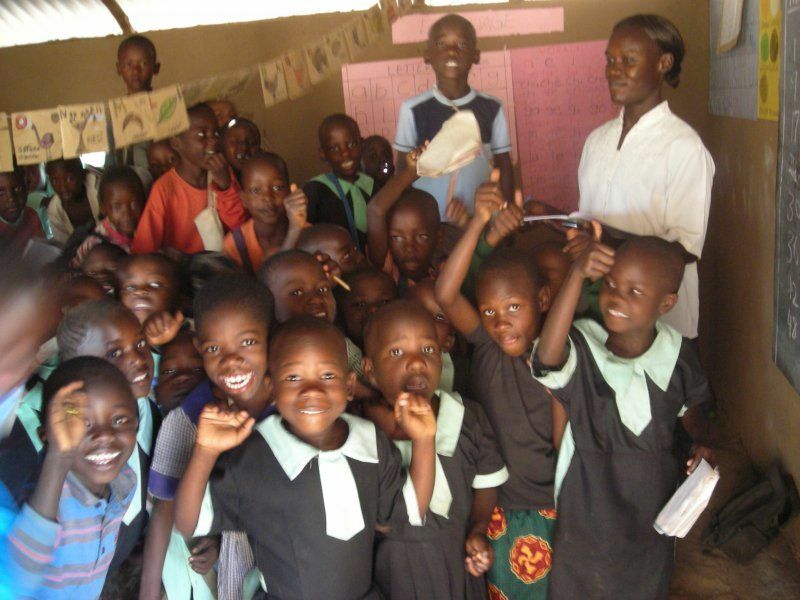 Omugumo Humanist School was founded by the village members and offers basic education to poor children from the local community. The school operates from the donated field without structures which becomes hard during the rainy season. Currently, the project caters for 50 pre-school children. The idea of the project is to build up ten classrooms, fully equipped with necessary learning equipments, e.g. tables, desks, blackboards and also with sanitary facilities, but the funds hasn’t been found yet. So far the project has already half acre land which was given by one of the members freely. To provide basic education to orphaned and deprived children from Marani area. To inform about AIDS in the local community. To build and equip the classrooms, fences and toilets; to provide access to drinkable water. Shadai Humanist Community School started in 2003 with aim to provide education for children from the nearest slums. Now it has three classes of nursery school and eight classes of elementary school. The plan for the future is to establish the secondary school as well. Kongowea – Maweni is a bid slum on Mombasa Island. The majority of 30 000 natives is very poor. The biggest problems are unemployment and ill health. Shadai School tries to provide the quality education for local kids, but due to the lack of funds it is not possible to create the ideal study room. It would be useful to expand the school spaces, purchase other equipment, learning materials, hire more qualified workers, and provide feeding program for children. The school currently works in two buildings – one of those is just rented. To provide the quality and accessible education for children from local community. To purchase quality equipment and staff, expand the school’s capacities.